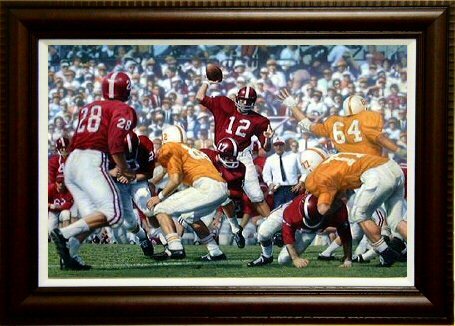 "Third Saturday in October" - Daniel Moore's homage to Joe Namath. On the third Saturday of every October, Alabama traditionally lines up against the University of Tennessee. The "Third Saturday in October" features Joe Namath, one of Alabama's all-time greatest quarterbacks.